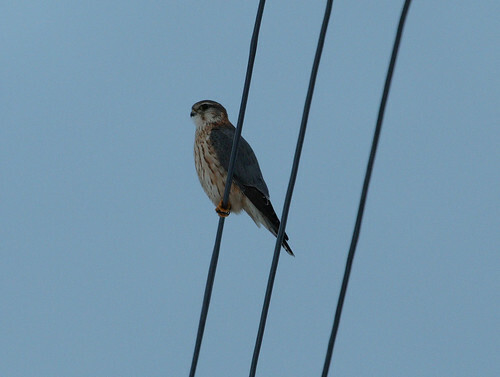 A male Merlin on the outskirts of Hakodate, just before sunset. This is a winter visitor in small numbers. They favour the snow covered ricefields in Ono and Nanae but I've also seen them in town, on one occasion I saw a female from my living room window. They like perching on wires and fenceposts and have a canny ability to fly off the second before the camera's AF locks on. A bird I've yet to see!